No need to go crazy to be original! 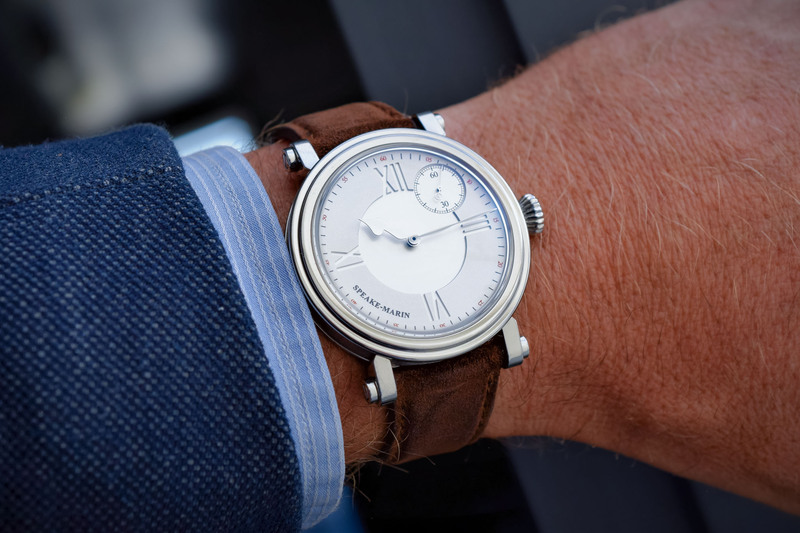 Many Speake-Marin aficionados were wondering – or rather legitimately concerned – about the future of this independent watch brand following the departure of its founder. Well, the good news is that the models unveiled at SIHH 2018 are well thought-out and convincing. 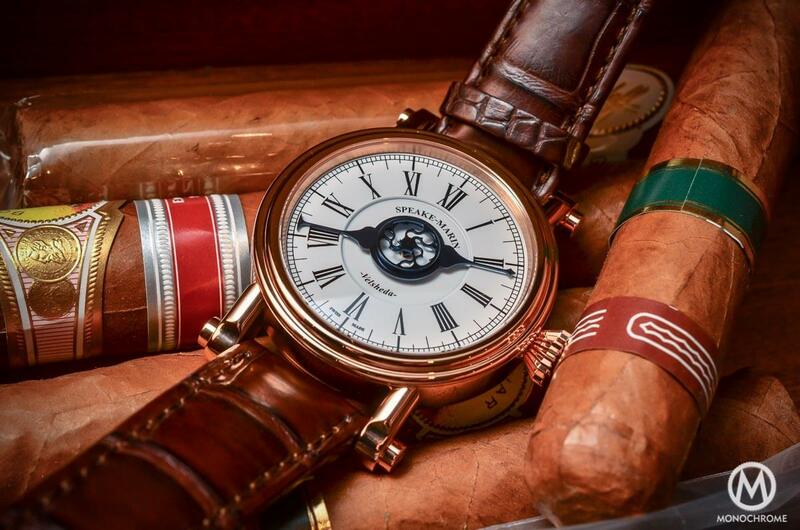 Among these, the One & Two Academic is quintessentially Speake-Marin revisited with some discreet and commendable updates. The brand tasked the talented designer Eric Giroud to work on the design of this new model. 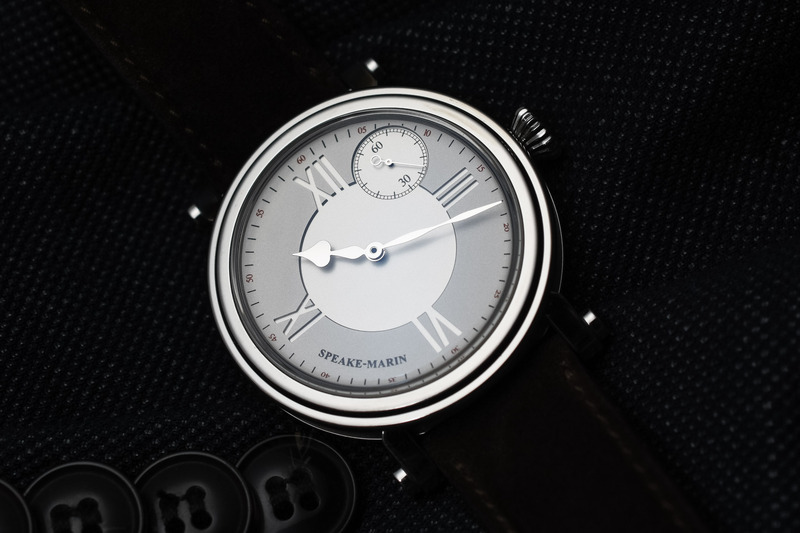 The essence of Speake-Marin has been kept – classic Swiss watchmaking infused with a British touch and an elegant twist – but has been enlivened with a modern feel. The brand’s signature design elements are all there. For instance, the “spade-and-whip” hands, or the tubular Piccadilly case. 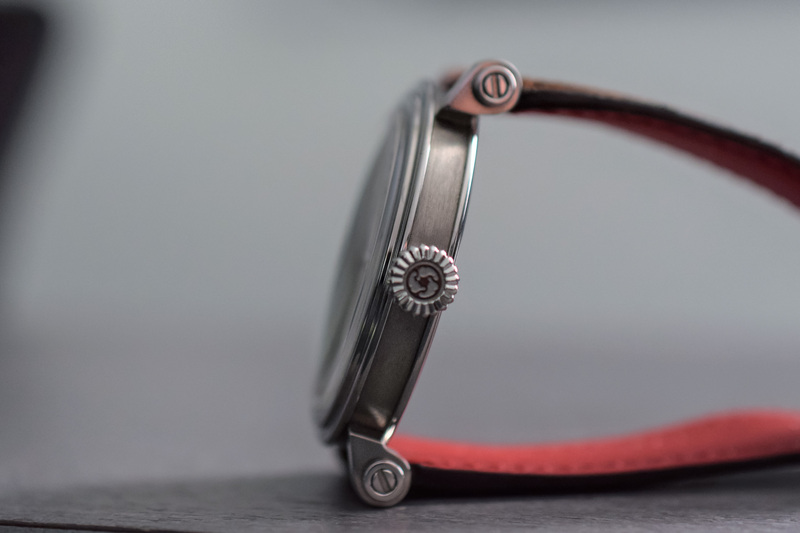 The case has been tastefully redesigned: it is thinner, the screwed lugs have been reworked and are more ergonomic, providing excellent wearing comfort. 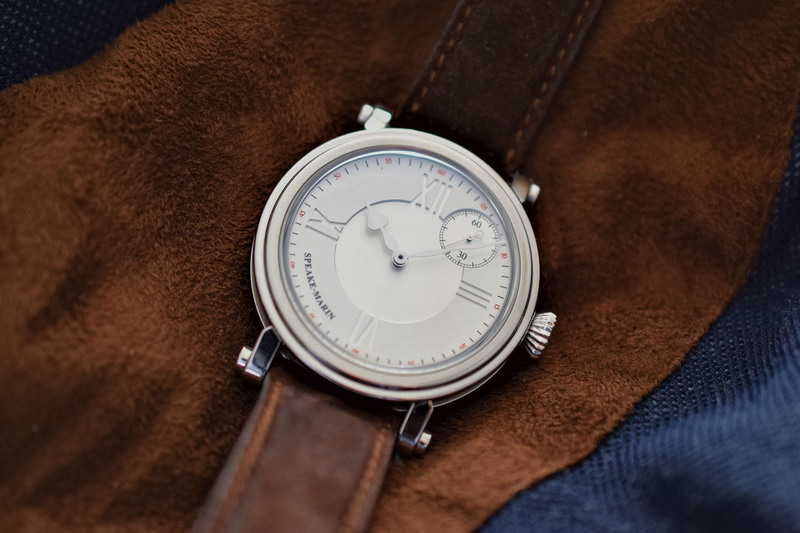 Fashioned out of lightweight titanium, the Speake-Marin One & Two Academic is available either in 38mm or 42mm (something that we often see at Speake-Marin, and that we clearly applaud). Thus, you can pick the one that best fits your wrist size and your taste. The large fluted crown ensures easy operations. The result is elegant and perfectly balanced, with a cool, original twist. The clean and elegant dial is a multi-layer design that provides a sense of depth. It features Roman numerals that are engraved in the raised outer part. It is polished in the centre and features a matte finish on the periphery. The positioning of the brand logo between 6 and 9 o’clock is another original touch. It provides a perfect counterpoint to the small seconds at 1:30 o’clock. 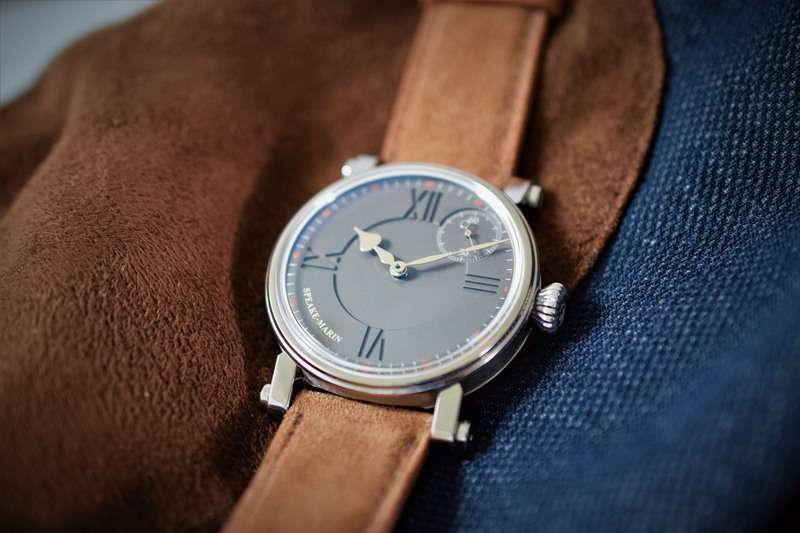 The dial is paired with the signature rhodium-plated “spade and whip” hands and it comes in different colours: silvery white, metallic blue or slate grey. 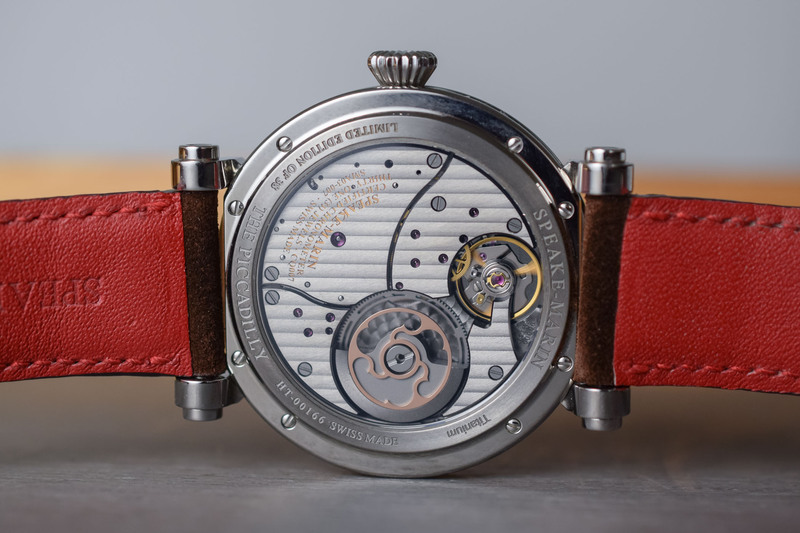 Inside the Speake-Marin One & Two Academic is the proprietary automatic calibre SMA03 (which is part of the same family as the superb SMA01 openwork movement). Its originality lies in the eccentric display of the small seconds. This unusual solution provides a special twist and the integration of the indication next to the crown (where space is required for the keyless works) adds complexity. The use of a fully-integrated micro-rotor allows the movement to be just 4.2mm thin while providing an unimpeded view of its intricacies. Visible through the exhibition caseback, the calibre SMA03 is structured with four bridges decorated with thin ribbing. The micro-rotor is topped with the brand’s signature “watchmaking topping tool” symbol crafted from Durnico steel, with 5N gold plating. Ticking at 28,800 vibrations per hour, it can store up to 50 hours of power reserve. The decoration is pleasant and on par with the price segment the watch is offered in. 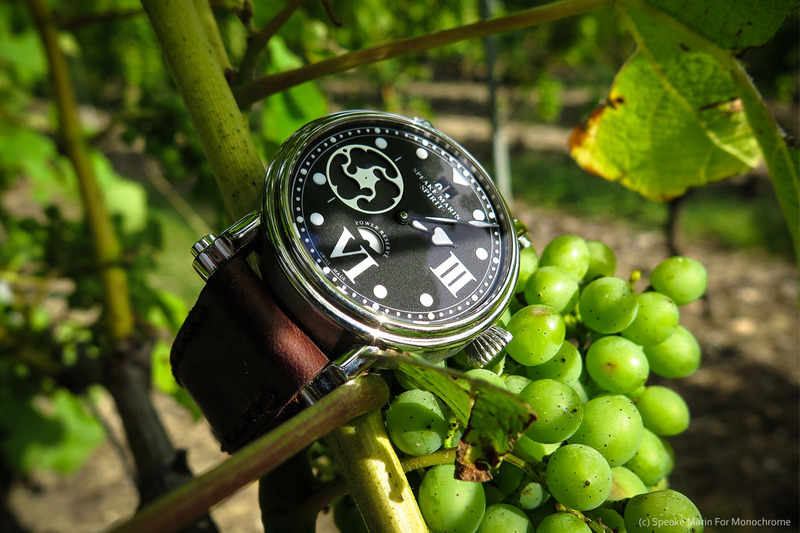 The Speake-Marin One & Two Academic watches are worn on casual suede leather straps secured with a pin buckle. 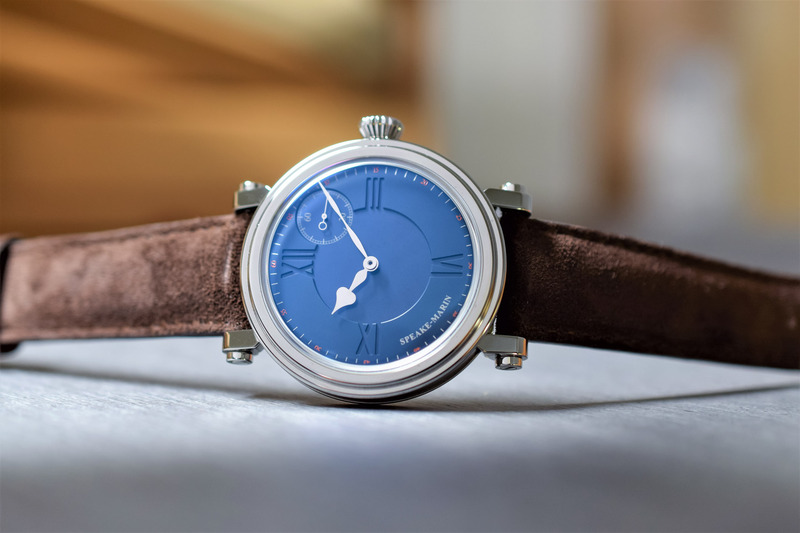 All versions (38mm and 42 mm) are released as exclusive limited editions of 16 pieces (metallic blue or slate grey) or 26 pieces (silvery white) and priced at CHF 11,500 for the 38mm version and CHF 12,000 for the 42mm version. 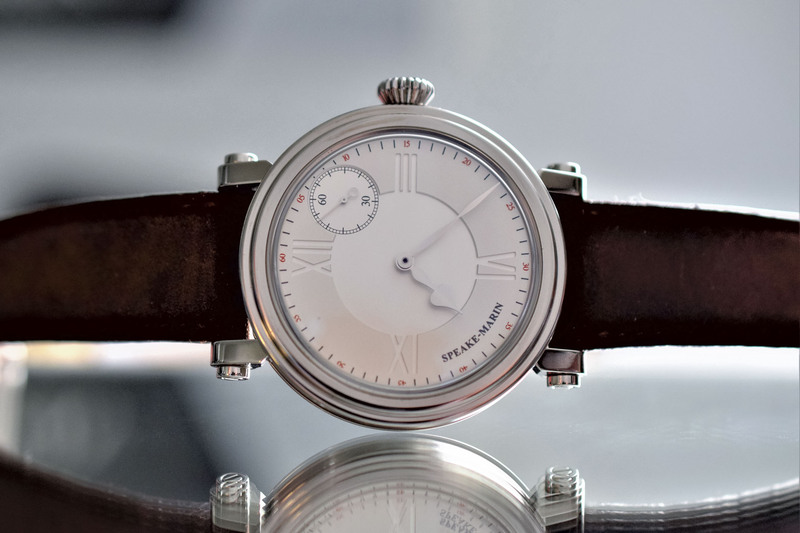 For more information about Speake-Marin, you can visit the website at www.speake-marin.com. Love the placement of the small seconds, LOVE THE LUGS. Very…..handsome and english. I will take my 38 in slate grey please. 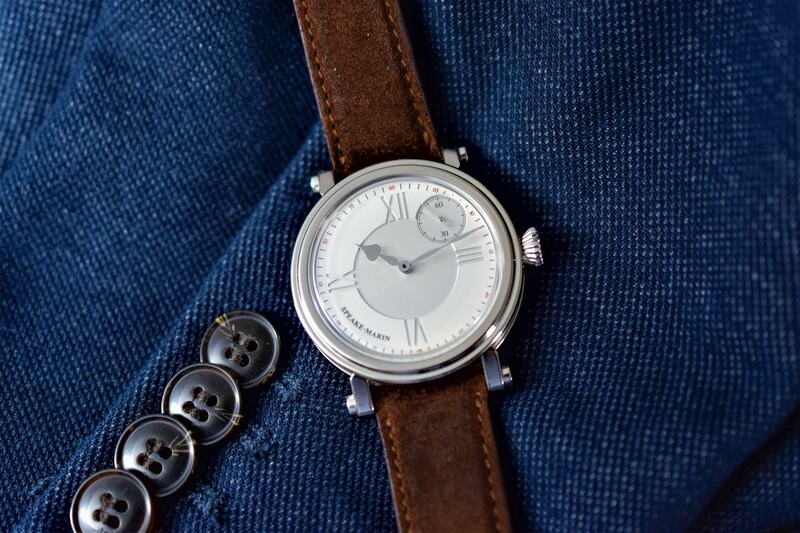 This watch really presents well on the wrist, I love the case and lugs, and the dial is so classy I may have to start enjoying tea and crumpets.